In the last two posts we surveyed the theoretical, individual, and organizational components of the U.S. Navy’s bid to adapt to the new, old reality of a competitive high-seas tactical environment. Now let’s turn to hardware, the tangible component. As Julian Corbett contends, strategic ideas manifest themselves in the kinds of weaponry a military service procures and how warfighters use it. Having averted its eyes from sea control since the Cold War, our navy allowed the associated weapon types to languish, notably anti-ship cruise missiles. The material dimension matters. For John Boyd, people, ideas, and hardware—in that order, he stressed—are the critical determinants of armed strife. But while Boyd relegates the material dimension to third place, it is far from irrelevant to his scheme of things. No matter how brilliant their ideas, people can only do so much if utterly outclassed in material terms. That mencouldovercomefire through sheer willpower was disproved on the Western Front a century ago. Which brings us to U.S. Navy surface warfare, or SUW. Over the past three years or so, defense manufacturers have begun working to field a new family of anti-ship cruise missiles to replace the navy’s dwindling and aging—aged, more accurately—stock ofHarpoonASCMs. The surface fleet took delivery of its last ship-fired Harpoons almost twenty years ago. Without upgraded weaponry, the navy that claims to rule the waves could soon find itself outranged and outgunned. In 2009, to considerable fanfare, the U.S. Navy, the Defense Advanced Research Projects Agency, and defense firm Lockheed Martin inaugurated the Long-Range Anti-Ship Missile program. Researchers considered two variants, a subsonic LRASM-A and a supersonic LRASM-B, before scrapping the LRASM-B last January. Testing of the LRASM-A’s sensor suite commenced this spring, while DARPAforecasts that the missile will undergo flight testing starting in 2014. Oneguesstimate at the bird’s range is 500 nautical miles, about a sevenfold improvement over the Harpoon’sadvertisedcombatreach. It will be largely self-contained from a fire-control standpoint, reducing its dependence on external data for detecting and acquiring targets. That’s essential for hotly contested settings, where defenders will put a premium on blinding or eliminating U.S. assets that track the whereabouts of enemy, friendly, and neutral units. Another promising interim solution to the surface fleet’s woes is a variant of the Tomahawk land-attack cruise missile. This is a back-to-the-future weapon. Many moons ago American warships carried a long-range anti-ship variant of the Tomahawk known as the Tomahawk Anti-Ship Missile. The TASM, however, was a missile whose reach exceeded the fleet’s grasp. By no means was it a fire-and-forget weapon. Its 200-nautical-mile-plus range was so long that the navy of those days lacked sufficient surveillance assets to guide the TASM to its target. Since the bird was subsonic, furthermore, its flight time was so long that the target might move out of the way, foiling the engagement attempt. The navy leadership eventually deemed the danger of hitting friendly or neutral vessels unacceptable. The TASM was withdrawn from the fleet. Most were converted for land-attack use. Now, however, Raytheon is adaptingitsBlockIVTacticalTomahawk for SUW missions. Though subsonic, the latest Tomahawk can strike up to 900 nautical miles away. Like the LRASM-A, the neo-TASM will be designed not to rely overmuch on external data to find and attack its targets. The Block IV, furthermore, boasts nifty capabilities like the capacity to loiter in a combat area until ordered to strike a particular target. It represents an orders-of-magnitude improvement over the early-generation Tomahawks we used in the late Cold War, which demanded hours upon hours of mission planning and whose trajectory couldn’t be reprogrammed in flight. Suppose all of these systems live up to their billing. It’s worth pondering how battle will evolve in the coming years as they come online. That is, how will naval combat play out if warships sport main batteries—that is, their primary armament—with maximum effective firing ranges from 500-900 nautical miles? Distance, time, and speed will all play a part. 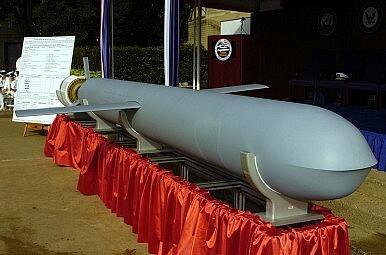 From a distance standpoint, the LRASM-A or son-of-TASM would provide U.S. Navy fleets operating in the Pacific Ocean the opportunity to engage Chinese adversaries at standoff range, meaning beyond the estimated reach of DF-21D anti-ship ballistic missiles and other forms of shore-based fire support. The zone between the two island chains starts looking like a battleground when you elongate the engagement ranges thus. Futuristic technologies like hypersonic missiles, electromagnetic railguns, or directed-energy weapons would further alter the martial landscape. What happens then? In all likelihood, strategic stability will prove fleeting. Perhaps the U.S. Navy’s new missiles will compel China’s People’s Liberation Army Navy to resume operating close to home. In turn the PLA Navy will look for inventive workarounds to restore the mainland’s strategic depth. Carl von Clausewitz likens war to two wrestlers constantly grappling for strategic advantage. John Boyd depicts it as two competitors struggling to manage change more swiftly and effectively, getting in each other’s heads. Both men would nod knowingly at the access v. access-denial problem. China’s Rope-a-Dope Strategy: Don’t expect the PLA to pit strength against strength until it has to.